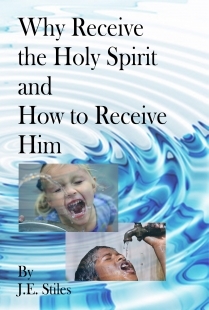 For anyone who desires to manifest the tremendous power of the gift of holy spirit, and for those yet unconvinced of God’s will for their lives, Why Receive the Holy Spirit and How to Receive Him provides the answers they need. J. E. Stiles was a minister whose life was dedicated to helping those who hungered to manifest the power of the Holy Spirit in their lives. He traveled throughout the United States and Canada teaching about the Holy Spirit and leading people into the manifestation of speaking in tongues. The impact of his ministry was powerful and far-reaching. By 1959, Stiles estimated that he had led about 10,000 Christians into speaking in tongues. This book provides the reader with the same answers and keys from the Bible that J. E. Stiles shared with those thousands of people so that they could evidence the holy spirit in their lives. J. E. Stiles was a minister whose life was dedicated to helping those who hungered to manifest the power of the Holy Spirit in their lives. Born in 1891, John Edwin Stiles served as a pastor in the Assembly of God church for about 30 years in Woodward and Hayward, California. Over time, Stiles became convinced that the denomination’s teaching regarding the receiving of the holy spirit was in error. Like other Pentecostal ministries, the Assembly of God church taught that a Christian must “tarry” and be good enough in order to receive the holy spirit. Based on his study of the Bible, Stiles was convinced that the gift of holy spirit was immediately available at the time of the new birth and operated simply by believing. This dissension led Stiles to separate from the denomination in 1946. J. E. Stiles then traveled throughout the United States and Canada teaching about the Holy Spirit and leading people into the manifestation of speaking in tongues. The impact of his ministry was powerful and far-reaching. By 1959, Stiles estimated that he had led about 10,000 Christians into speaking in tongues.